Too few Washington state residents are aware that it is illegal to grow any amount of cannabiis for their personal consumption. Not included in the original I502, it was taken out of the reform bill in early2015. There are a few reasons for this which need to be discussed but by far the most anti home grow influence comes from lobbying from WACA, Washiington Cannabusiness Association. 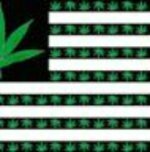 The people need to speak out and contact their State Legislators and tell them that even though Washington was one of the first two "legal" states, it falls way behind of the now 7 others in true cannabis freedom access. There is a draft bill ready for submission early next year. Learn about this and let your voices be heard. The WSLCB wants to protect their Cannabis interests and does so by limiting the number of outlets available to purchase Cannabis, and approving far too many growers. It is currently unsustainable and many more will fail or simply quit growing. Eventually, it is believed and hoped that the industry will quit the gestapo, armed inspections of farmers, let up on the ENFORCEMENT FINES of millions of dollars yearly in additional revenue to keep themselves afloat. These enforcement fines are for even, non critical, administrative mistakes which are simply not allowed. Today I can tell you that untested machine trimmed Cannabis flower is selling for $.50g on average...the rest of the retail store pricing is divided along these lines. The good old days are long gone, but at least any adult in the state may have 1oz of Cannabis on him at any time....how many more years before all of the bumps are smoothed out? If you're looking for incredible, legal in all 50 states, CBD products, this site has some great options, with Cannabis tinctures, Cannabis Pet Products, Rich CBD skin topicals and lots more. Actually there are 3 options finally under consideration for Washington Home Grown Cannabis.....all LOUSY and intrusive! Washington state is the only legal Adult Use state which doesn't allow Home Grown. The 3 different programs are being researched by the WSLCB and they will release their decision by end of Dec 2017.
all plants must have 16 digit bar codes traceable within the system from seed/clone to ultimate disposal of plant...very laborious & time consuming. In addition, home growers would have to register with the state. 2 Would allow limited home grown however, the grower would have to obtain "local law enforcement" permission, inspection etc...can you even begin to imagine where this could lead? The third option is to keep it the way it is, no home grown. I502 has destroyed more than 1000 legitimate business owners financially with the lopsided, deliberately created over supply of growers versus the very few retail stores capable of buying....so not a single farmer, not even the HUGE ones are making any $$$....while the private market is thriving. Join in and write your own page! It's easy to do. How? Simply click here to return to What's Happening?.